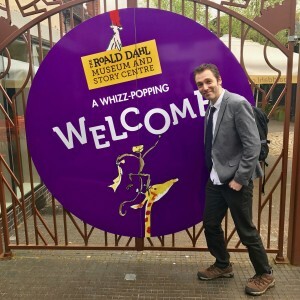 I had a truly gloriumptious day at The Roald Dahl Museum and Story Centre. 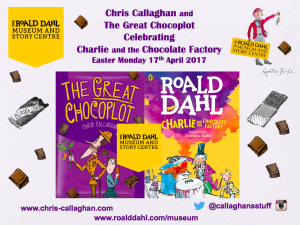 It was a great honour to be asked to do some Chocoplot events over Easter at the home of our greatest storyteller and I loved every minute. 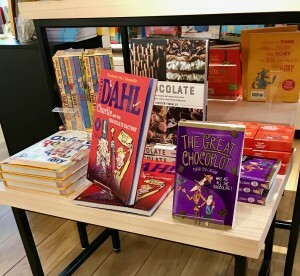 It was quite surreal to see my silly story in the museum book shop next all of Roald Dahl’s amazing stories. 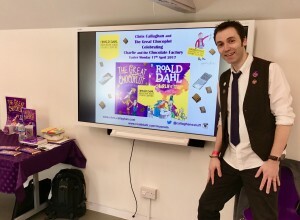 Thank you to everyone who came along – it was great to meet you and you all joined in brilliantly. Huge thanks to the staff, who made me and my family feel very welcome. It was so much fun and a day I will never forget! 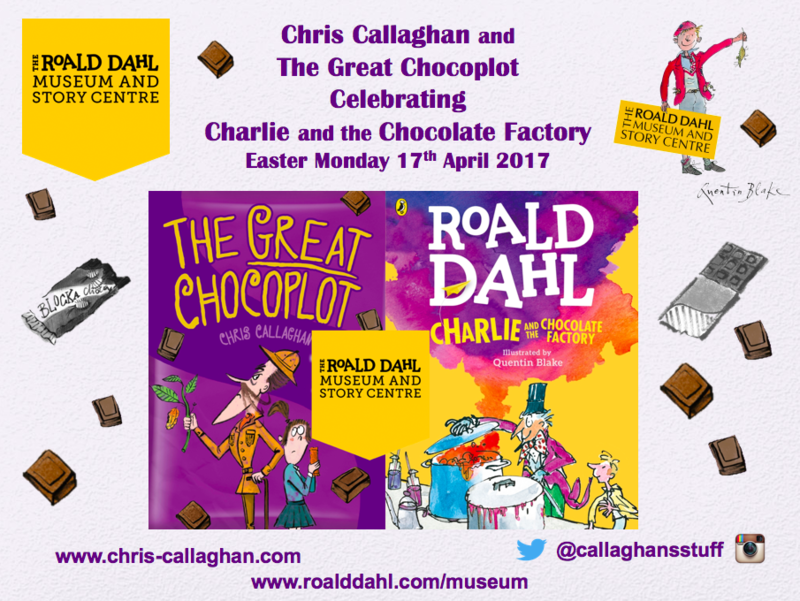 The Great Chocoplot in GREAT company! !